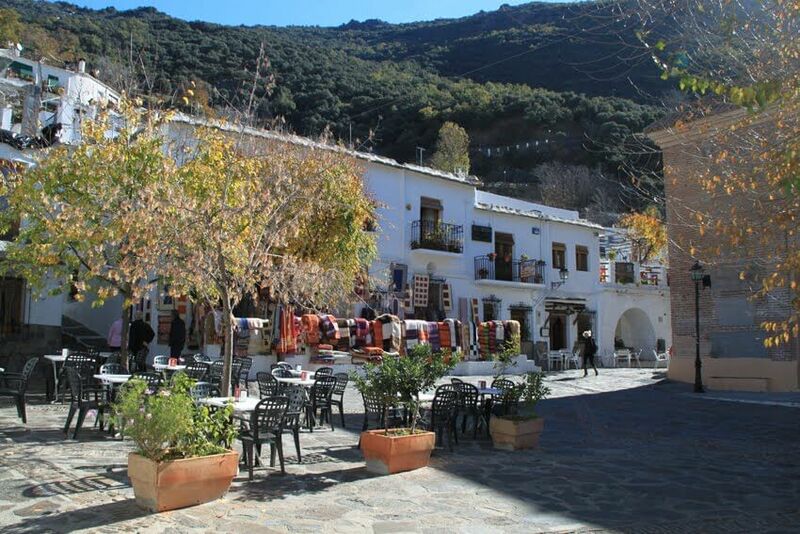 Visiting Pampaneira is, without a doubt, one of the musts during your stay in Las Alpujaras. 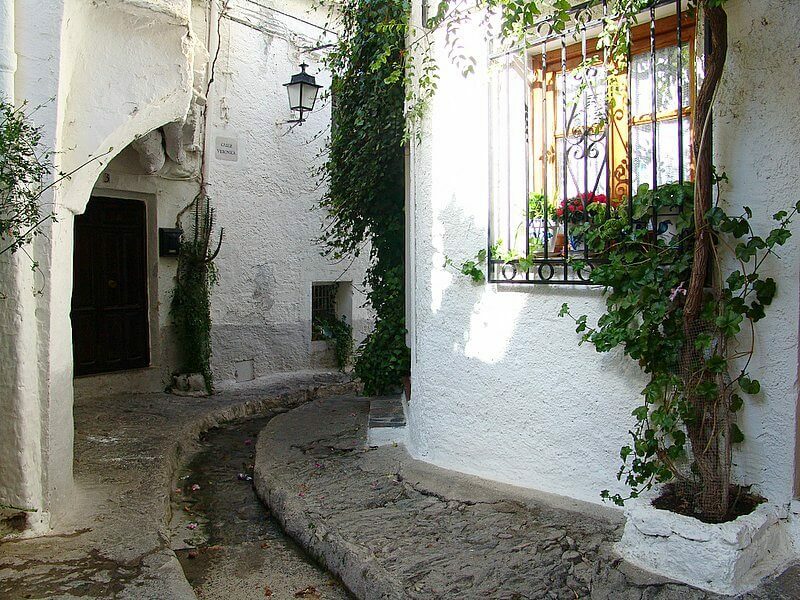 It’s one of the three villages in the renowned Poqueira Ravine (Capileira and Bubión are the other two), and it was the first village in Granada to earn the title of “one of the most beautiful places in Spain”. And we can guarantee it really deserves the title. 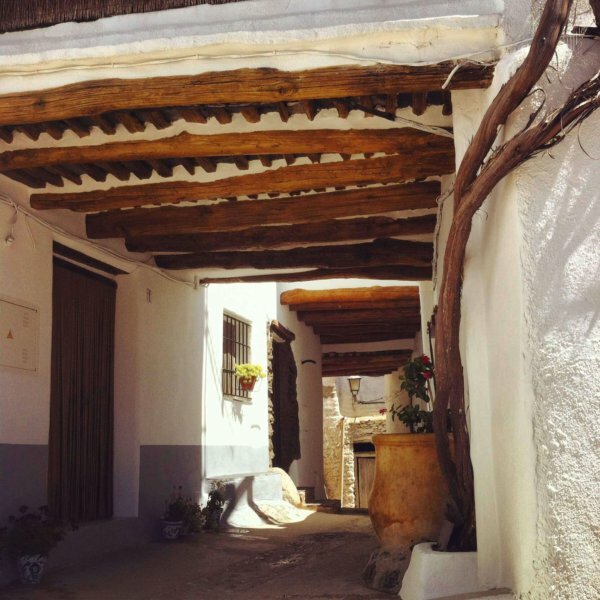 Alpujarra architecture is very well preserved in this village, and it’s one of the few in Las Alpujarras that respects this asset of cultural interest at all costs. 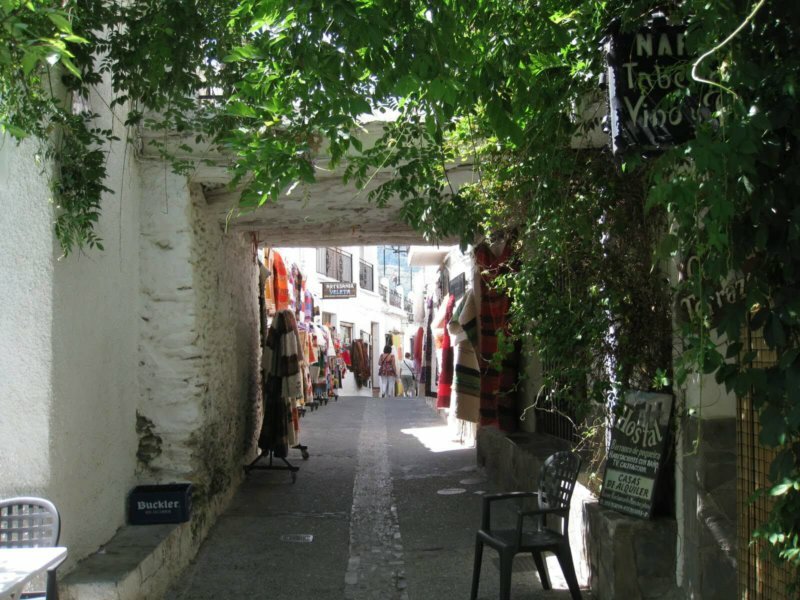 Visiting Pampaneira is discovering its labyrinthine and steep streets passing beautiful tinaos. 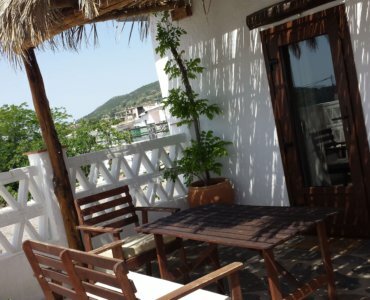 Whitewashed little houses with their launa covered terraos. 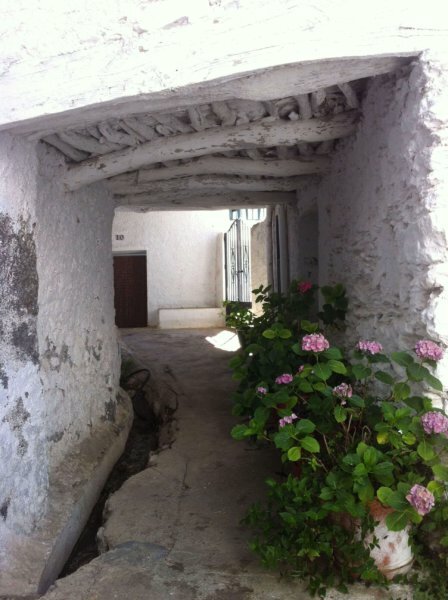 Ditches that run through the town with trickling water from the Sierra Nevada Mountains. 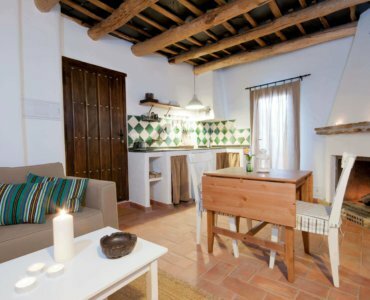 Endless features that make it one of the most visited mountain villages in Las Alpujarras. 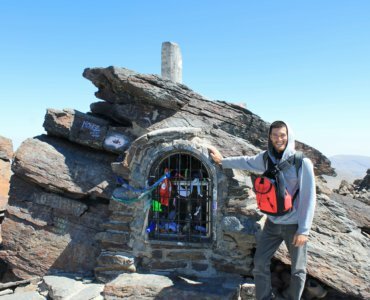 We, of course, have to mention the views of the majestic south facing slope of the Sierra Nevada Mountains, with the Veleta peak as a central point in these impressive mountains. 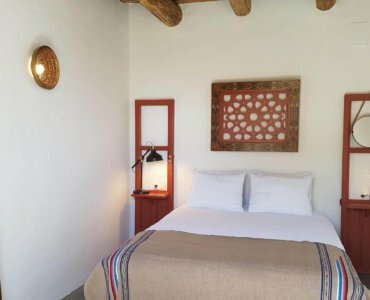 The wide tourist offer for visitors is also worth mentioning, which includes many shops exhibiting colourful jarapas in its streets, Moroccan handicrafts and local products. 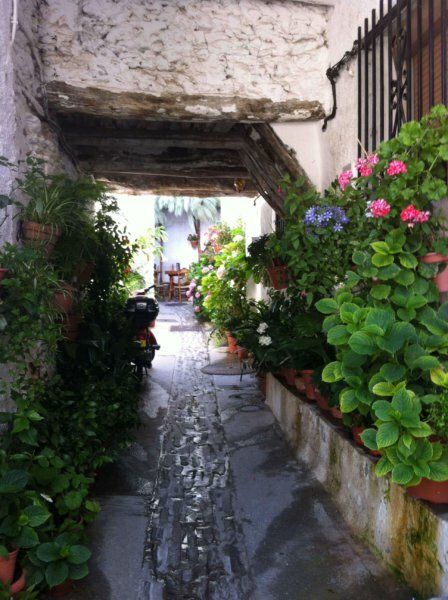 There are also a large number of wineries and restaurants with their menus full of Alpujarra dishes, like migas with bacon and peppers, soups and traditional stews, garlic kid… But remember, depending on the time of year you go, you should know that its small and narrow streets will be filled with tourists from all over the world wanting to enjoy this beautiful town. 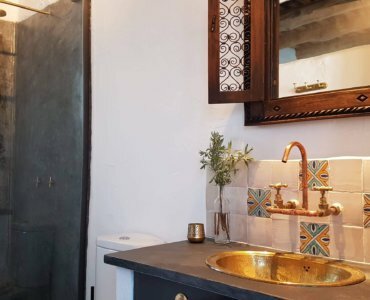 At La Placeta, we invite you to visit it, and we also invite you to rest in one of our Alpujarra holiday cottages in Pórtugos, a small and quiet village located in the heart of Las Alpujarras, between Pampaneira and Trevélez, where you’ll be able to enjoy the peace and quiet being at 1,300 m above sea level offers.